Vibrating, hard, bluesy and heavy rock you could call it. Like if Guns’n'Roses, AC/DC, Aerosmith, Motley Crüe, Accept, The Rolling Stones and the Beastie Boys all got together smoking weed for a week, and then just ran their heads together in one giant crash. After touring mainly in Skåne during 2009, The Clan now extends the tour and will frequently be hitting the land above Skåne, Sweden during 2010. One highlight of this tour will of course be Stockholm Rock Out, where the band takes the stage on the 10th-11th of September. 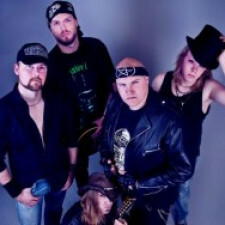 Paralell to all this a new album is being produced, scheduled to be released in spring 2011. Musikföreningen i Kävlinge (MiK) started following Killer Clan of F.U.N..